The number of procurement procedures soared 550%, the number of participants increased by 384%. 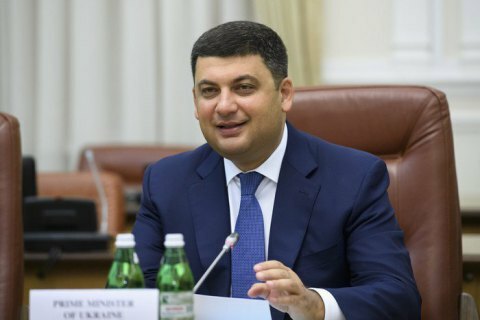 During the year of its operation, the system of electronic public procurement ProZorro has saved Ukraine 19.1bn hryvnyas of public funds, Prime Minister Volodymyr Groysman wrote on Facebook on Tuesday, 1 August. "Exactly one year ago there was a complete transition to electronic public procurements via the ProZorro system for all above-threshold public tenders. Over the past 365 days we have amazing figures: the number of conducted procedures grew by 550%, the number of participants - by 384%, the amount of announced tenders increased almost tenfold from 75 bn to 725 bn hryvnyas," the prime minister wrote. Groysman made public ProZorro statistics. "Thanks to ProZorro, we managed to save 19.1 bn hryvnyas in public funds in just one year, which is a very high figure that has the potential for growth," he added. Groysman congratulated the ProZorro team, the Ministry of Economic Development and Trade and personally the first deputy minister of economics Max Nefyodov. ProZorro was launched in a pilot mode in February 2015. In April 2016, the first stage of the introduction of the electronic system of public procurement started, and on 1 August 2016, the use of electronic public procurement became mandatory for other government customers.